Zack Snyder‘s Batman v Superman: Dawn of Justice (2016) will be getting a special R-Rated Edition Blu-ray/DVD dubbed the Ultimate Edition. The R-Rating is due to the “sequences of violence.” That is the version I want to see first, but I will have to wait for the Blu-ray for that. 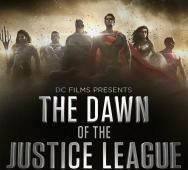 Batman v Superman: Dawn of Justice releases in movie theaters this upcoming March 2, 2016. 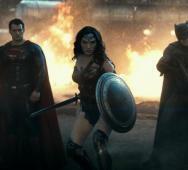 Ben Affleck, Henry Cavill, and Amy Adams star in Batman v Superman: Dawn of Justice. Brianne Howey (Scream Queens) is now cast in Fox’s The Exorcist TV series. She will potentially play a possessed character named Charlotte, which is a regular role. Charlotte is “a former ballet dancer, once the golden child, she has not been the same since her terrible accident. Now depressed and anti-social, she’s closed off and guarded.” Charlotte’s mother believes she is the victim of a demonic possession after the change in her behavior. 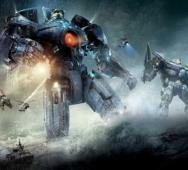 PACIFIC RIM 2: Guillermo del Toro Dropped for Steven S. DeKnight!? Legendary Pictures has selected Steven S. DeKnight to direct Pacific Rim: Maelstrom (aka Pacific Rim 2, Pacific Rim sequel). 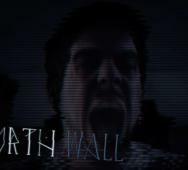 DeKnight will be going into this film fresh; it is his first feature film. That does not mean that he does not have experience. DeKnight created Starz’s Spartacus TV series later moving to a producer of said series, served as head writer on Netflix’s Daredevil series. DeKnight has directed a few episodes for Angel, Daredevil, and Smallville. New HELLRAISER in the Works with Heather Langenkamp Attached - No Doug Bradley!? A new Hellraiser sequel movie is in the works with Heather Langenkamp (A Nightmare on Elm Street (1984)) attached but no Doug Bradley (Pinhead from Hellraiser (1987)). The film is already shooting with Langenkamp in a small part. 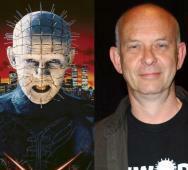 Gary Tunnicliffe is set to direct this new Hellraiser movie. Below is some excerpts from the Langenkamp interview. BLADE RUNNER Sequel Releases January 12 2018!? 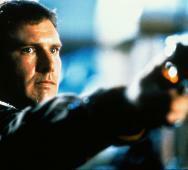 Alcon Entertainment and Warner Bros. has released the release date for the Blade Runner sequel. January 12, 2018, is the date set for us to see Rick Deckard’s return. Too bad we have to wait until January 2018 to see the Blade Runner sequel, but the good side to this is that we will hopefully get a well-baked movie. 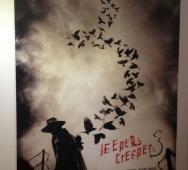 Victor Salva‘s Jeepers Creepers 3, aka Jeepers Creepers 3: Cathedral finally has some sales artwork attached to the film. The artwork is for the European Film Market in Berlin. Francis Ford Coppola‘s American Zoetrope is producing Jeepers Creepers 3 while Myriad Pictures is financing the film. 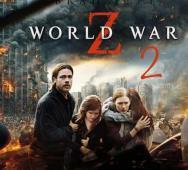 The film is scheduled to go into production in Vancouver. 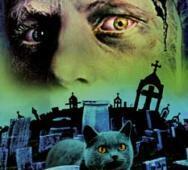 Jonathan Breck will return as The Creeper, and Brandon Smith will also return as Sergeant Davis Tubbs. 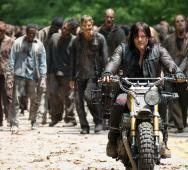 Here are some photos of the new Daryl Dixon statue from McFarlane Toys. Daryl Dixon (Norman Reedus) from AMCs The Walking Dead is a fan favorite and one of my favorite resin statues. Todd McFarlane created this new resin statue himself and is a limited edition ready to pre-order this July 2016, during the San Diego Comic-Con 2016. 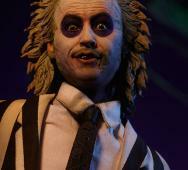 The statue is ten inches tall and comes with a Todd McFarlene-signed certificate of authenticity, all for $295.00. 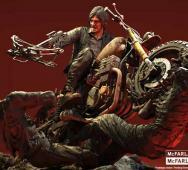 The statue features Daryl Dixon with his crossbow nailing a zombie in the face while his motorcycle splits open another zombie’s head. AMC’s The Walking Dead Season 6 Mid-Season Premieres Sunday, February 14, 2016, and we have new photos for you here. We also have Andrew Lincoln’s reaction to this second part of season 6. After reading the script, Lincoln states that he was sick to his stomach and had trouble sleeping. April 3, 2016, is when the hardest struggles hit in the season finale. Lee Majors and Ted Raimi join the cast of Starz’s Ash vs Evil Dead Season 2. 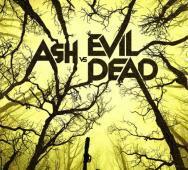 Lee Majors will play the father of Ash Williams (Bruce Campbell), Brock Williams. Ted Raimi will play Chet Kaminski, an old childhood friend of Ash William’s. Seems we are going to take an incredible trip down Ash William’s past. What do you think of this new casting news and suggestions that we will see some backstory for Ash Williams, leave your comments below? 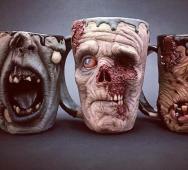 Universal Pictures is hard at work grabbing talent for their upcoming monster reboot. 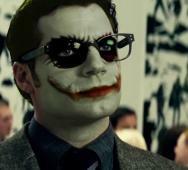 The latest addition will be Johnny Depp as The Invisible Man. Tom Cruise is set to star in the new Mummy film while Angelina Jolie might star as the Bride of Frankenstein. Johnny Depp has that funny walk and mannerism that kicked off his role as Jack Sparrow in Pirates of the Caribbean franchise. 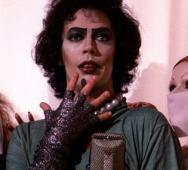 I would be very interested to see how Depp plays this role. 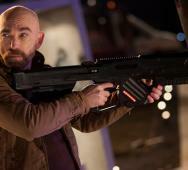 Jackie Earle Haley is an excellent actor although he bombed in the Nightmare on Elm Street (2010) remake. Jackie Earle Haley will play Odin Quincannon, who is a businessman who corrupts all aspects of the small town where Preacher Jesse Custer (Dominic Cooper) possesses the “The Word of God” allowing him to command people to do what he wants. Custer is fused with an angelic spirit known as Genesis granting him this new power. Seth Rogen and Evan Goldberg are bringing this cutting TV series based on the popular comic book series. Look for AMC’s Preacher Season 1 to air this upcoming Summer 2016. 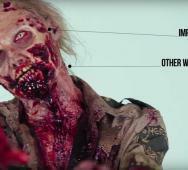 Cinematica released their new video detailing 107 facts from AMC’s The Walking Dead TV series just in time for the mid-season six premiere this Sunday, February 14, 2016. 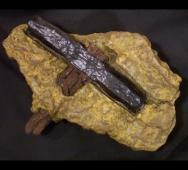 These 107 facts are crammed into a 20-minute package video. 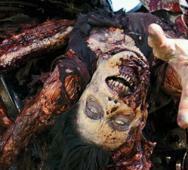 Make sure you check out this video before Valentine’s Day with zombies. 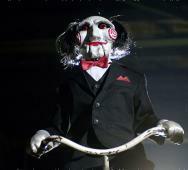 Jigsaw returns in Saw: Legacy, the eighth film in the Saw franchise. Lionsgate hired Josh Stolberg and Pete Goldfinger to write Saw: Legacy. 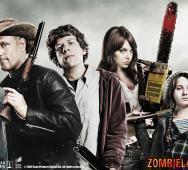 This duo worked previously on Piranha 3D (2010) and Sorority Row (2009). 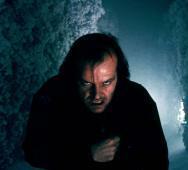 James Wan and Leigh Whannell are on board to executive produce the new film. That is all the news that has been released thus far. 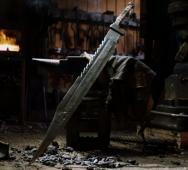 What do you think, are you excited for another Saw film? 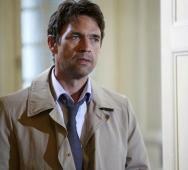 Dougray Scott (Netflix’s Hemlock Grove, Hitman (2007), Dr. Jekyll and Mr. Hyde (2008)) has been announced to join AMC’s Fear the Walking Dead Season 2 cast. It is still unknown who he will play and what his role will be. The second season of Fear the Walking Dead is mostly filmed about now so speculating, his role must be a crucial story element. When Fear the Walking Dead returns April 10, 2016, Scott will join Kim Dickens, Cliff Curtis, Frank Dillane, and Alycia Debnam. AMC‘s The Walking Dead Season 6 returns this upcoming Sunday, February 14, 2016. 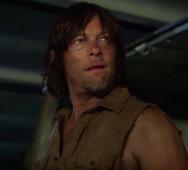 AMC has revealed that they will release the first four minutes of the mid-season six premiere Wednesday morning on their mobile app. 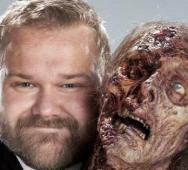 That is an excellent way to get people to download The Walking Dead mobile app. 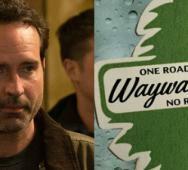 Jason Patric has joined the cast of Fox’s Wayward Pines Season 2 premiering this upcoming Summer 2016. Jason Patric is best known for The Lost Boys (1987) and Narc (2002). 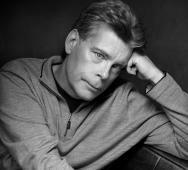 M. Night Shyamalan had reassured fans that Wayward Pines was just a one season event, so I hope that they have a well-baked screenplay to work with. I enjoyed the first season of Wayward Pines, and I hope that the series does not suffer while trying to cash in on the success of the TV series. Andrew Lincoln (Rick Grimes) is confirmed to appear at Walker Stalker Con London 2016. Lincoln will only appear for one day, Sunday, February 21, 2016. 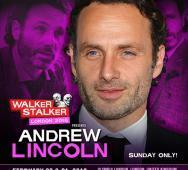 Lincoln will also be available for photo-ops with Norman Reedus (Daryl Dixon). It is rare to see Lincoln at a panel so no wonder panel seats are already sold out. 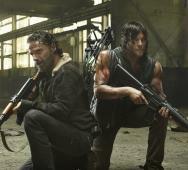 Full details on The Walking Dead guests and cancellations are listed below. 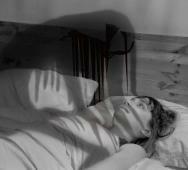 The scariest time to terrify a person is at night and in the middle of your sleep. 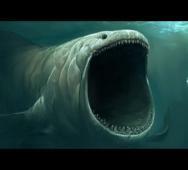 These sleep demons or sleep creatures haunt you at night and are some of the nastiest evil entities that can get you. There are many more, but these few made our top list in no particular order; Shadow People, Raven Mocker, Mare, Machine Elves, and Aliens. Read below for full details on each. AMERICAN HORROR STORY Season 6 to Feature SLENDER MAN!? Infamous creepypasta icon Slender Man looks like he will be appearing, better yet, may be the focus subject on FX’s American Horror Story Season 6. 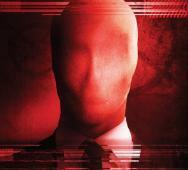 They should stay true to the Slender Man mythos with him “abducting people, causing people to lose hours of time, distorting reality, and preying on people by appearing to them when they least expect it.” AHS writers are currently trying to purchase this script that they really like. AHS creator Ryan Murphy should reveal the outcome this March at PaleyFest. Do you want to see Slender Man in the next upcoming season of American Horror Story, I know I do? 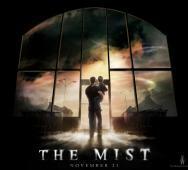 This list is a round-up of all the horror and scary science fiction films that made it to #1 at the box office. I know many of you might have grown up in this period like myself and wonder how cult favorites like Freddy Krueger and Jason Vorhees did at the box office, who won? Freddy from the Nightmare on Elm Street franchise had a total of six #1 weeks between this timeframe with Jason from the Friday the 13th franchise only having three weeks total. Movies that topped the box office consistently for 3 - 5 weeks include Aliens, A Nightmare on Elm Street 4, I Know What You Did Last Summer, Pet Sematary, Seven, Silence of the Lambs, and The Sixth Sense. 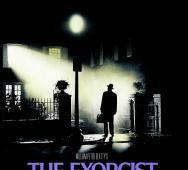 Morgan Creek has reached a deal with Fox to create a pilot for a new TV series based on The Exorcist (1973). 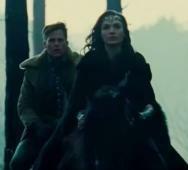 No one yet knows if the new series will retell the events in the film or give us something new. 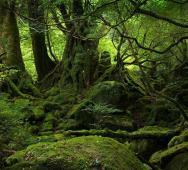 Will we battle the same demon or new demons? We will keep you updated with more news as it develops. UNDERWORLD TV SERIES Confirmed and in Development!? The Underworld TV series has been in the rumor mill a few times, but now director Len Wiseman has confirmed that the new TV series in active development. Early development makes it difficult for Wiseman to give any kind of timeframe. What do you think of an Underworld TV series? 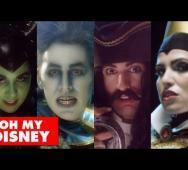 This video features Disney Villains singing OneRepublic Counting Stars. This song is a little old, but the video is awesome and features some amazing acting and production value. 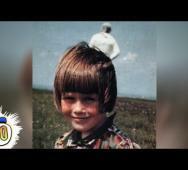 An amazing video, leave your comments below. Should we continue to post awesome videos like this? Thanks to Oh My Disney for posting this video. 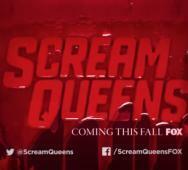 Ryan Murphy‘s Scream Queens must have done well for the network because Fox’s Scream Queens Season 2 is officially confirmed. 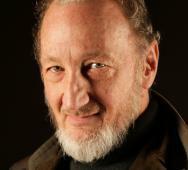 The renewed horror TV series will continue to focus on horror comedy. This time, the renewed season will take place in a hospital setting. Full details in the press release below.